The Partridge Family’s garage. If the I-76 sign is a repro, they went to a lot of effort. In the early seasons the I-76 shield was a fake black on white! 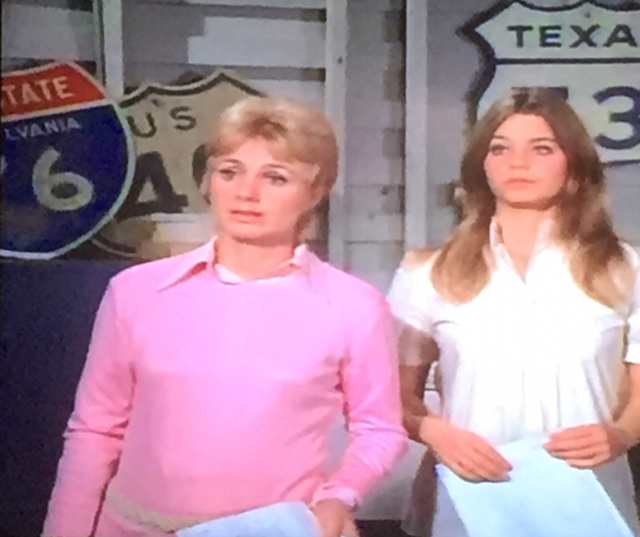 It would have been more appropriate if it had been an I-70 shield since Shirley Jones is from Smithton (Exit 49). 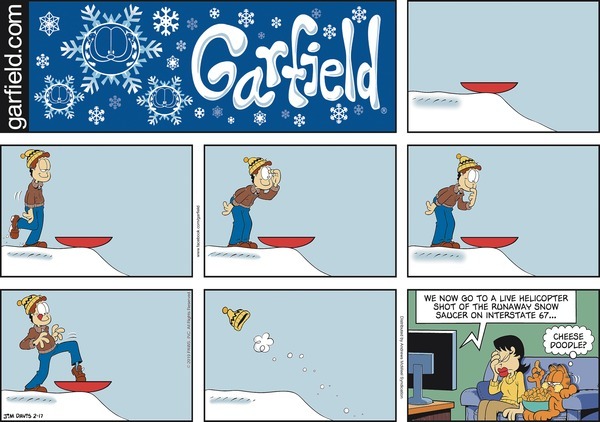 Not a highway sign, however there's a mention of I-67 in this Garfield strip. Saw this old fashioned stop sign at Warner Bros. Studios in "Blazing Saddles." That "bingo" really did add up...LOL!